Our VIP Membership is a RT Aesthetics scheme designed for regular clients to save money on their monthly treatments and gain access to discounts and promotions. Membership can be purchased on either a 6 monthly or 3 monthly basis. Members receive a FREE treatment each month and £35 credit to spend, as well as discounted prices on all our products, along with a host of other benefits such as exclusive invites to events, birthday gifts, and much more. Our VIP Membership scheme has been started to save our clients money and give you a free treatments and credit each month. Each month of your membership £35 is credited to your account for you to spend on your treatments or products. You will also receive a FREE Non-Surgical Face Lift or 20 Minute Cavitation & Radio Frequency Session each month (worth up to £95). For further terms & conditions see below or ask a member of our team. After your 3 or 6 month membership has finished you will be offered the opportunity to continue your membership on a monthly direct debit basis or to renew again. Each month as a member you will receive £35 credit and a free treatment worth up to £95. This accounts to £130 per month better off not including all the extra benefits you receive as a VIP Member. You also receive Members Only Gifts By Email, Special Birthday Gift, Waiting List Priority, 10% Off All Products (List Price) and much more. Below is the top benefit you receive every month! Total benefit of free treatments each month totals £130 and it only costs you £45 per month to join! Don’t forget your exclusive discount and promotions as a VIP member. Contact us today to learn more. At RT Aesthetics we are passionate about helping our clients to reach their potential. RT Aesthetics specialises in the very latest non-surgical treatments that provide long lasting superior results. All of our treatments are FDA approved and are carried out by highly trained qualified practitioners. Within RT Aesthetics we have a qualified nurse practitioner who is on hand to answer any medical questions that you may have. Our goal is simple, to deliver superb results safely and effectively while providing you with a holistic, personal centred approach. We aim to enhance your body confidence and quality of life in a relaxing environment, offering an alternative – affordable solution to surgery. Membership is not refundable or transferable. We have a limited number of memberships available at any time so we reserve the right to freeze any new applications till a space becomes available. Discount is only available to the named VIP member and cannot be used in conjunction with any offers or promotions unless stated in the offer. For renewals you will be sent a reminded via email and we will cancel your membership if you do not contact us within 14 days of your membership ending. Monthly payments are payable on 1st of each month via direct debit. RT Aesthetics reserves the right to alter these terms and conditions or withdraw the scheme at any time – members’ will be notified in advance of any changes. RT Aesthetics reserves the right to refuse or cancel membership when a member is not abiding by the terms and conditions. If a member has treatments costing more than the balance in their account, the difference is payable at the time of their treatment. When joining members’ may be required to show photographic ID with proof of billing address. Treatments are subject to availability so we recommend that for peak times such as weekends, treatments are booked in advance to avoid disappointment. We reserve the right to refuse any treatment on medical grounds and/or if we consider it inappropriate in our professional opinion. Failure to attend for a pre-booked treatment without notifying us will result in 50% of the cost for the appointment being deducted from your account. Booking with RT Aesthetics is a simple process. The fastest and most convenient way to book an appointment is via our website. At the top of the website page click 'Book Online' and choose the service and treatment option your wanting to have and enter your contact information. You will receive a confirmation of the booking via email and text message. Alternatively you can book an appointment by calling us, please note if you wish to book by phone we will need contact information and deposit payment card for treatment bookings. We do not share your information with any third party and your data is kept secure. RT Aesthetics offer many non-surgical treatments that treat and reduce many problem areas across the body. Whether your looking for fat reduction, acne treatment or reduction and removal of fine lines and wrinkles we can help. As RT Aesthetics offer many different treatments it can be hard to understand which treatment is best for you. RT Aesthetics look at every client differently as not every person is the same. RT Aesthetics offer free, face to face consultations so that you can come along and meet us before committing to any treatment and discuss in detail your concerns, the treatment, and assess your suitability for the treatment. This ensure that you feel confident that you are in safe hands. We sure do! Most of our before and after photos are posted on our social media pages: Facebook (@rtaesthetics) & Instagram (@rtaestheticsltd). 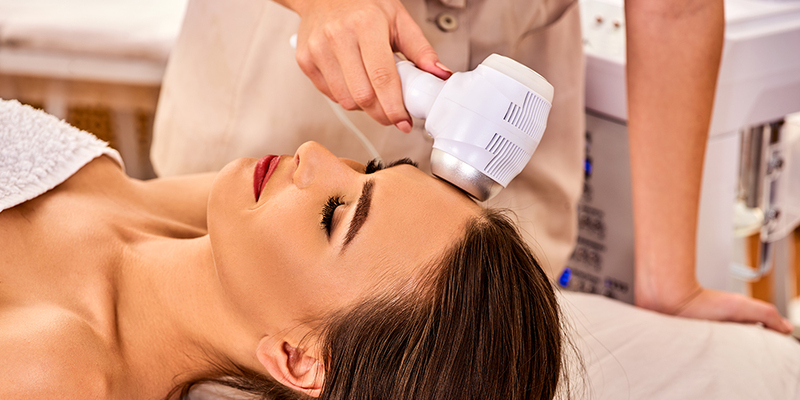 During the face to face consultation the aesthetic practitioner will show you before and after photos relating to the treatment your looking to have, for example, fat reduction, double chin reduction, or reduction and removal of fine lines and wrinkles. At RT Aesthetics we understand that life doesn't always go to plan and that sometimes you need to cancel an appointment. You can rearrange or cancel an appointment via the link in your confirmation email or by calling us on 0191 649 8699. Your deposit will be forfeited if you fail to attend or cancel your appointment with less than 48 hours notice. Will people know that I’ve had help to get my new figure? At RT Aesthetics we want everyone to shout about the amazing results, as it is the best advertising for us. However, it is completely up to you if you tell people that you have had a treatment with us. As the treatment is non-invasive there are no scars so you won’t have to take time off work to recover either. Please note that the Fibroblast treatment does leave carbonised spots for 7 - 10 days. RT Aesthetics are fully committed to ensure your privacy is maintained at all times.